Home Horse Tack & Equipment Girths & Belly GuardsReturn to Previous Page. The Ovation Fleece Lined Equalizer Girth is undoubtedly the most comfortable girth on the market. 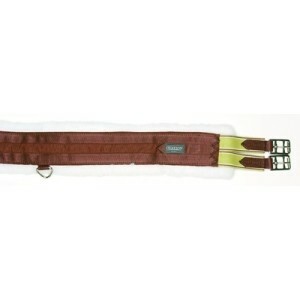 This nylon girth features a soft fleece lining for superior comfort. The Ovation Fleece Lined Equalizer Girth is also easy to wash; just pop it in the washing machine on a gentle cycle and air dry. A center D-ring can be used for attaching additional training devices. 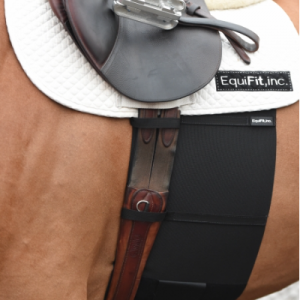 Also features double end elastics for even pressure on both sides of your horse. Stainless steel roller buckles allow you to easily slide the girth up and onto your billets.